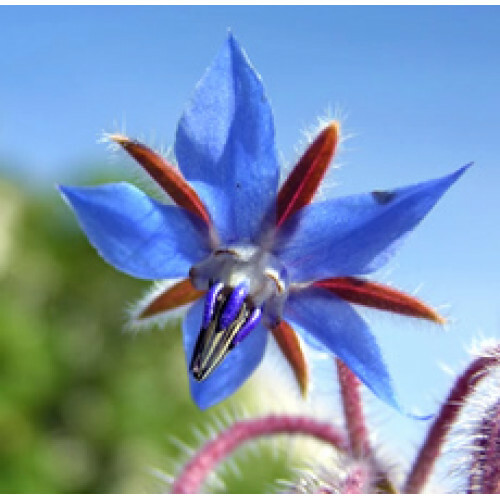 Borage Carrier Oil is well known as one of the richest sources of essential fatty acids known to man. It is the richest source of gamma linolenic acid (GLA) - up to 25%. This helps to encourage mobile joints and tissues. It is also a fantastic source for vitamins, and minerals. Users can apply it to both sunburned and aged skin, though because of the price and oily residue, many will use in dilution with other carrier oils. Color: Pale yellow to golden yellow liquid. Aromatic Description: Being unrefined, Borage Carrier Oil has been left in its virgin state after pressing. It has not been run through filters or chemical processes, so stronger colors and fragrances should be expected. This is completely natural. Common Uses: Small amounts (10% or less) of Borage is often added to other carrier oils for fortification. It is applicable for all skin types and is commonly used in manufacturing, aromatherapy applications and by massage therapists. Consistency: Typical and Characteristic of Carrier Oils Absorption: Leaves an oily feeling on the skin.